Welcome to one of the most diverse parts of Edmonton, Alberta! Here, you will be able to find everything from urban condominiums to sprawling country homes. There are dozens of incredible neighborhoods in this area, and Northwest Edmonton homes for sale are sure to take your breath away with the sheer amount of choices they offer. This region, because it has a little bit of everything, if perfect for anyone on the hunt for a home in an exciting and engaging place. Bordered on nearly every side by green belts, the views alone are enough to draw people in. Because of its diverseness, Northwest Edmonton real estate is some of the most popular in all of Alberta. Parks, protected areas, and golf courses are everywhere, making this region utterly gorgeous in terms of natural scenery. Acreages offer opportunities for horses and urban condos are perfect for those who are looking for a smaller home. If you’re a golfer, then you’ve certainly come to the right place. Twin Willows Golf Club and Glendale & Country Golf are outstanding courses with great food and wonderful staff. Even better, you can find some spectacular acreages here, especially along 118a Ave NW and Winterburn Rd NW. For those who want to experience the very finest in waterfront views, check out The Palisades and Rapperswill neighborhoods. Homes here tend to be either townhomes or single family homes, and all of them were built between the 1950s and present day. 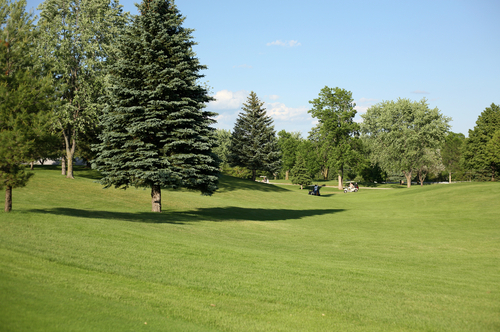 If golf is a favorite pastime of yours, then Northwest Edmonton is the place for you! Dragon’s Head and Glendale Golf & Country Club are two of the most sought after courses in Northwest Edmonton. The greens are well maintained and challenging, and the food and staff are both lovely. Affordable and stunning, you won’t want to miss out! For some of the finest opportunities for wildlife viewing in Edmonton, check out Lois Hole Centennial Provincial Park. This park is globally significant for bird species, and bird watchers from all over the world come here to see them. Geocaching is also a popular activity, as is hiking the trails. You can even sign up for volunteer positions within the park! Just a 20 minute drive away, you will find the famous West Edmonton Mall. This mall not only has 800 stores, but it’s also famous for its world-class attractions, which include a huge waterpark, North America’s largest indoor amusement park, a massive underground aquarium, and so much more! Learn more about Northwest Edmonton homes for sale and how we can help you through the due diligence process to ensure that the house you have your eye on will make you happy for years to come. Email us or give us a call today at 780.988.0001.